A Secondary student reads ‘In Flanders Field’. Students and staff from Garden International School (GIS) remembered the victims of armed conflict as part of a Remembrance Day assembly. 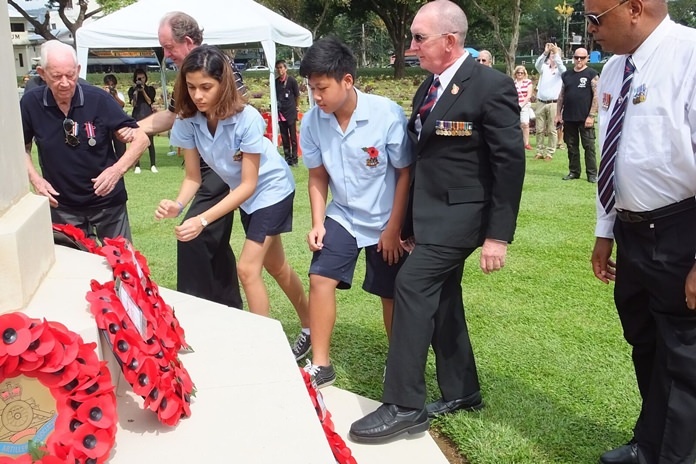 Year 9 students visited the War Cemetery in Kan­chanaburi to meet war veterans and lay a wreath on behalf of the school. The whole-school assembly, led by Principal Mrs Dinah Hawtree, featured a moving example of how families are affected by war. Mathematics’ teacher Mr Nixon, whose own ancestors were involved in World War I, World War II and the Vietnam War, read a passage from the poem For the Fallen, which was followed by the Last Post and a minute’s silence. There were also poetry readings and a performance of Bryan Adams’ ‘(Everything I Do) I Do It For You’. 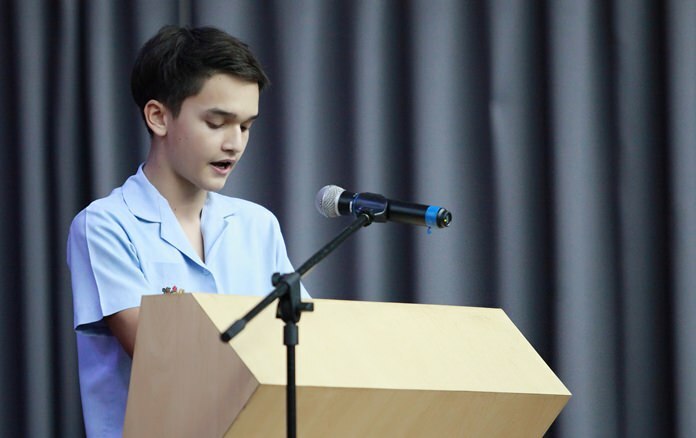 The school, based in Ban Chang near Pattaya, has been helping the local branch of the Royal British Legion and as a result collected around 18,000 baht. Some of this will also go to help victims of armed conflict in Thailand. 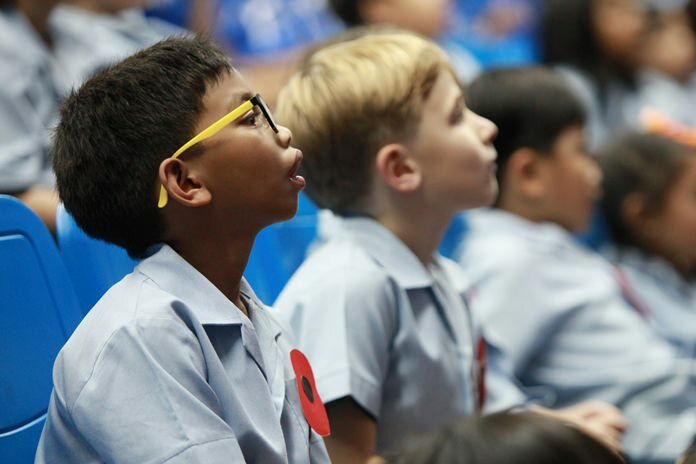 Primary students wear their poppies as they listen to the assembly. 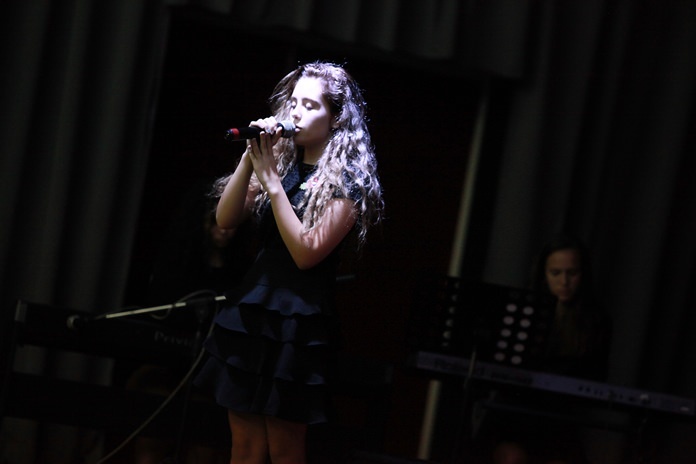 A Year 11 student sings at the whole-school assembly. GIS students lay a wreath on behalf of the school at the War Cemetery in Kanchanaburi.